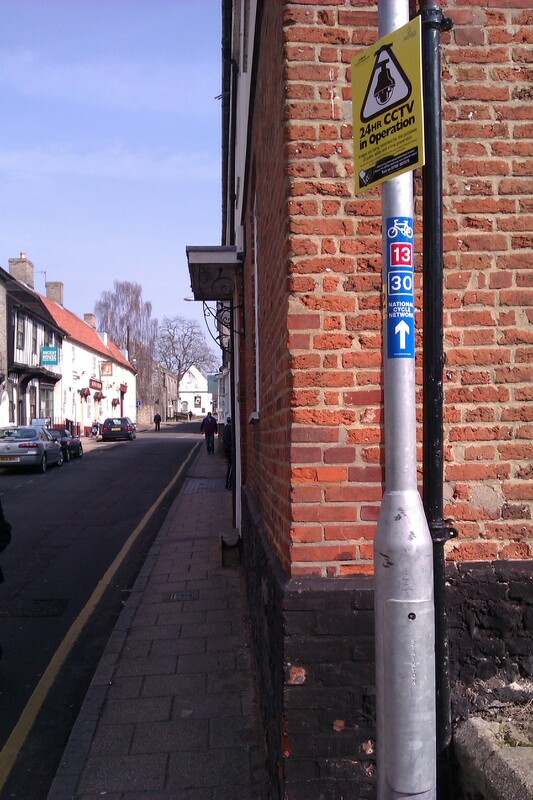 I did a couple of repairs to signs in Thetford town centre today. First the sign at the market end of King Street needed replacing, after being mostly pulled off. 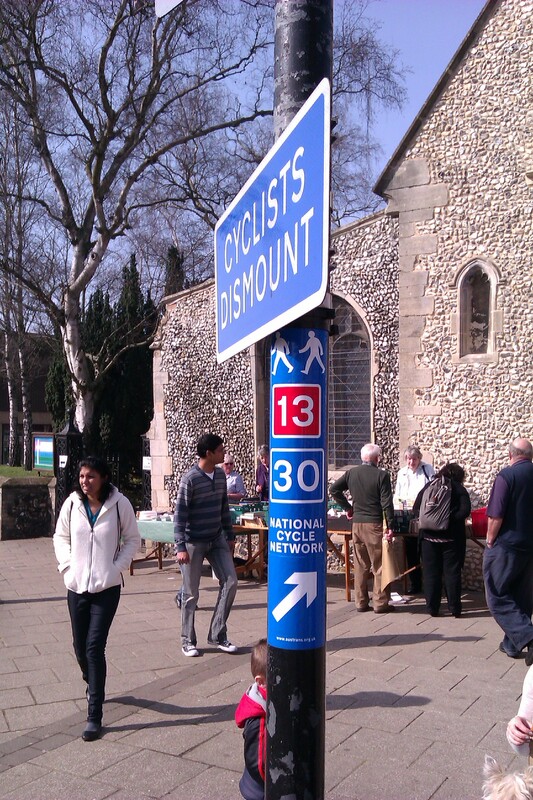 I also added a new bicycle symbol to the sign by St Peter’s church-yard heading north on White Hart Street.